Every slate good we produce is sealed with food grade mineral oil to maintain the integrity of the slate and bring out the unique stratifications and color variations in the stone. 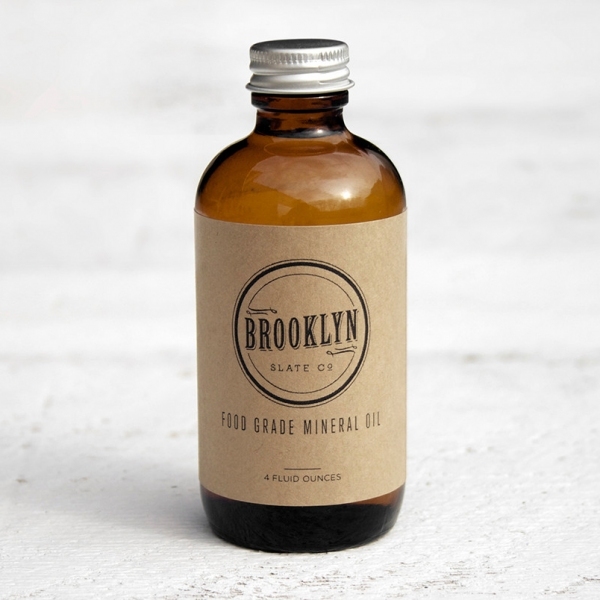 Protect your slate for years to come with our bottled food grade mineral oil. Simply wipe down the stone with a drop or two of oil twice a year or as needed.